How did Poles quench their thirst on hot summer days? 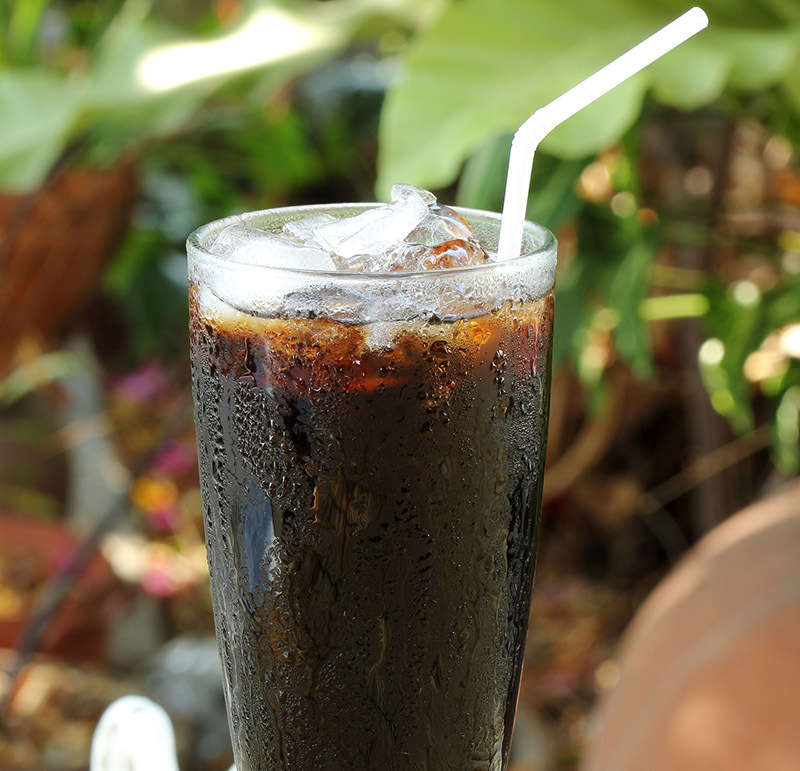 Find out in our mini-guide to the most popular cold drinks from the past century. Some of them have faded into oblivion, others have never lost their popularity while others are now enjoying a revival after years of absence. This refreshing beverage is common even in the most modest households and is drunk on a daily basis with meals. It is much healthier and easier to make than beer. Summer heat may cause a large thirst. 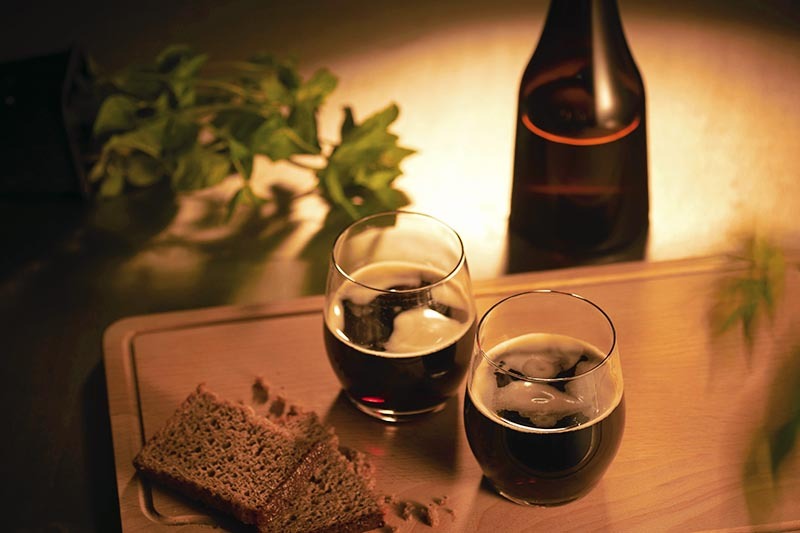 Bread kvass is one of those drinks that can quench it fairly quickly. Take 350g wholemeal bread, 6l hot water, ½kg sugar, 60g pitted raisins, juice from ½ lemon and 20g yeast. First, grind the very dry bread and pour it over with hot water. Let it cool down. Crumble the yeast in cold water and pour it into the bread mixture. Mix everything and leave aside for 12 hours. Next, filter the mixture through a linen cloth. Add raisins, lemon juice and sugar. After 24 hours pour the drink into bottles, which must then be properly corked. It is best to keep the bottles in a cellar. Kvass, when uncorked, has the power of a sparkling wine. If no caution is taken, it can all completely escape from the bottle. Fortunately, after years of oblivion, bread kvass has recently come back into favour. The popular and refreshing fruit kvass (kwas owocowy) was another cheap thirst-quenching drink. Various types of fruit kvass were since totally forgotten. No special skills or a large sum of money were required to make them. The only things needed were fruit, raisins and a little sugar. Apples were the most common choice. The ‘Delicious Apple Kvass’ by Maria Disslowa, the interwar author of the popular publication Jak Gotować (How to Cook), was made from white transparent apples (papierówki), raisins and water. The drink then needed to ferment, and after a week it was filtered through tissue paper, poured into bottles and corked tightly. A couple of days later, the kvass was ready to drink. This is a healthy and tasty drink and as such can be made from any other fruit type. It could be plums, raspberries, cranberries, wild pears or sour cherries. 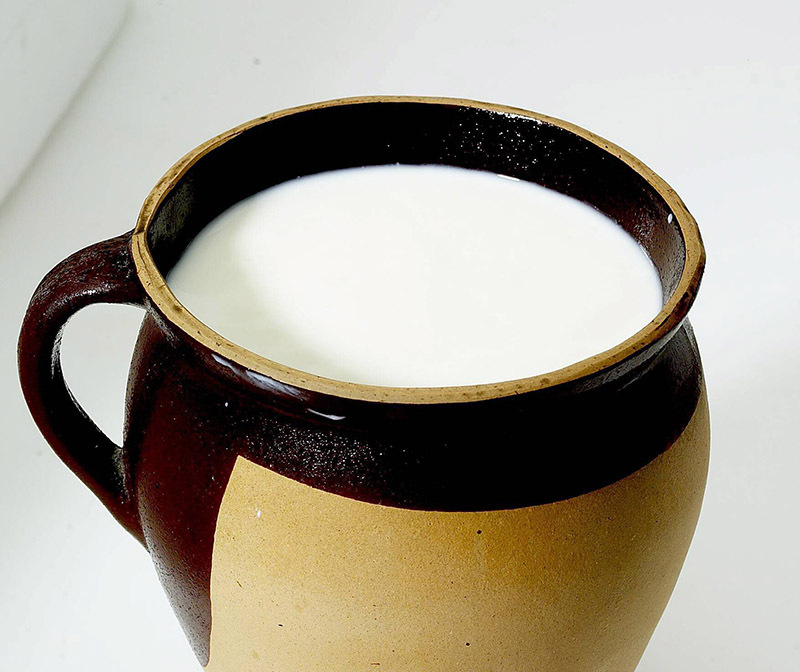 Cheap and healthy, soured milk (zsiadłe mleko) was produced in every Polish household, regardless of the family’s social status. The tradition of milk fermentation is mentioned in many scientific publications. Almost everywhere in Poland people pour fresh milk into appropriate dishes and let it ferment by itself. And the Voyt sat down to a steaming dish of newly-mashed potatoes, made savoury with abundant driblets of fried bacon; a platter of sour milk standing close by. In the morning, pour sweet milk into a ceramic pot and set aside in the kitchen. The next day, when it has become curdled, take it down to the cellar. In Warsaw… there was not only double beer but also the previosly mentioned single beer, the beer of the gentry. This beer was simply podpiwek. Still, it was bottled carefully and stored in a cool place under sand. It would change into a light, tasty beverage that would cheer you up to work. Podpiwek was popular especially in the countryside, for it could quench your thirst during harvest time. Although it had been produced in factories since the second half of the 19th century, it was still made in households from roasted grain coffee, dried hop, yeast, water and sugar. In some regions (e.g. Kujawy) people continued to home-brew podpiwek well into the 1960s. A ready-made mix of dried ingredients was available to buy: you just poured hot water over it, filled in the bottles and carried them down to the cellar; after a couple of days, you could enjoy your drink. Since 1989, podpiwek has almost completely disappeared from the market. A couple of years ago, it started to appear at food fairs and festivals, in agritourist farms and occasionally in shops. … In summer we are dripping wet from sweat while the scorching sun extracts the last of our strength and makes our lips dry. 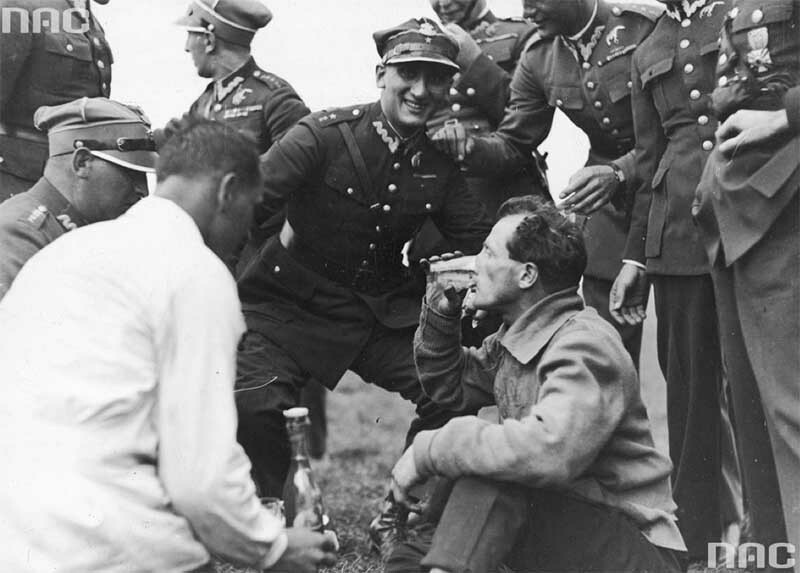 Since vodka, water and beer are not suitable for hard work in the fields, we need another drink, a drink that would be healthy, cheap, refreshing and nourishing, that is giving power to the man. Working people abroad, even the poorest, drink apple wine, which cools them down. Where there is apple wine, there are no drunkards. 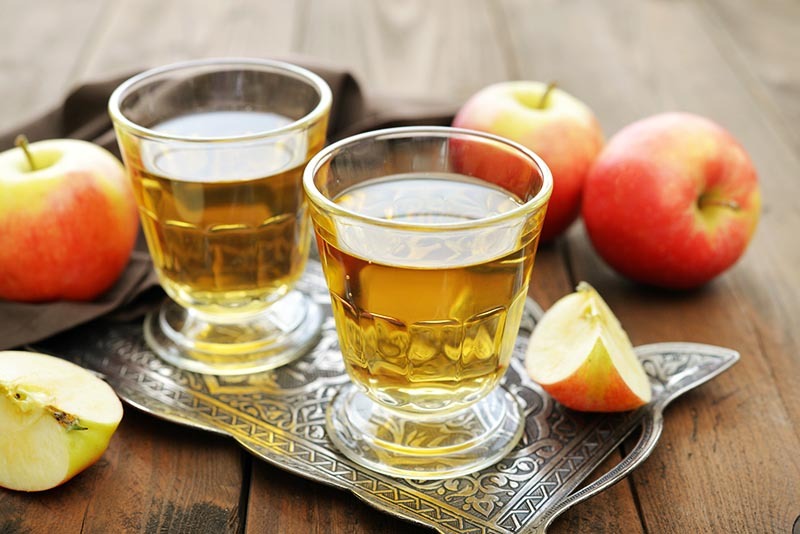 The common people were assured that apple wine is easy to make and everyone who has some apple trees by the house can make enough to last for the entire summer. It was recommended to use poor apple varieties or even wild ones, and it was advised to plant apple and pear trees along the roads instead of willows or poplars. 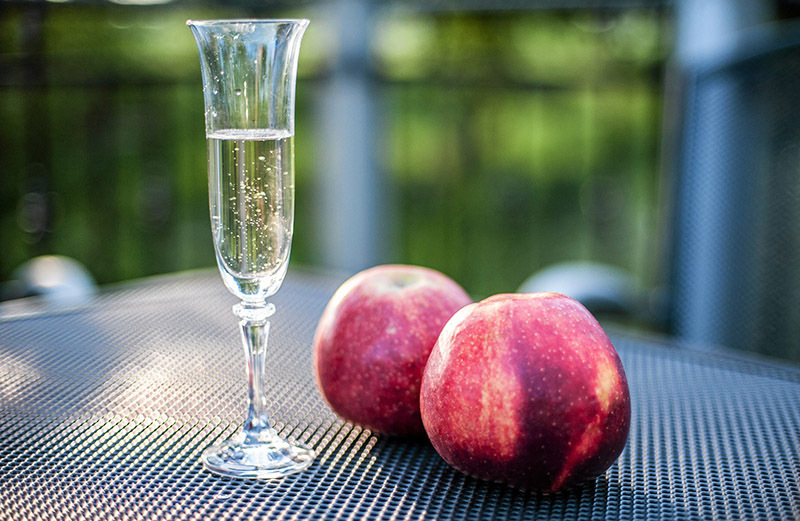 Now, after over one century of oblivion, cider has been re-invented in Poland. 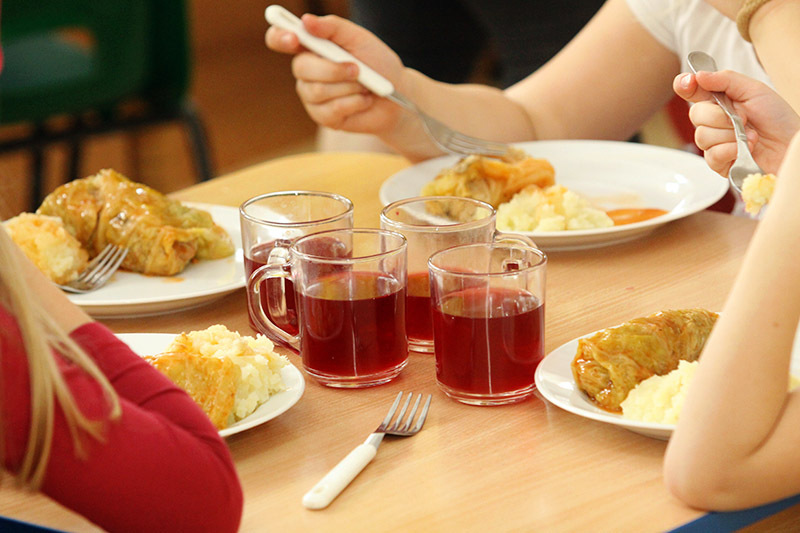 It is not entirely certain when Poles learned to make this sweetened drink made from boiled fruit, which for several decades has been an inseparable part of every Polish dinner. Kompot could be made from almost any fruit, but usually apples, cherries, currants, strawberries, gooseberries, rhubarb or pears. According to one theory, the tradition of making this sweet drink is several hundred years old and goes back to the times of the Ottoman Empire. Interestingly, however, 19th century cookbooks included recipes for kompot, but it was in fact a type of fruit dessert, deriving from the French compote, a fruit purée eaten with a little spoon. Kompot has recently lost its significance, but it is still an intrinsic element of a traditional Polish dinner. Both probably appeared in the 18th century. They were made from freshly squeezed lemon or orange juice, water and sugar or even sugar syrup (more than what people at that time were used to). This refreshing drink can be prepared in large amounts and served with ice at dance parties. Lemonade was served with crushed ice even though there were no fridges at that time. Every manor had its own icehouse, an underground cold store with blocks of ice cut out from frozen rivers or lakes. Stanisław Lubomirski in the introduction to the oldest Polish cookbook Compendium Ferculorum by Stanisław Czarniecki described one such icehouse in Kruszyna. It resembled a hill covered with trees and bushes. Heavy armoured door led downstairs into an immense cellar with several rooms. The biggest were full of ice blocks, dropped inside through a shaft in the ceiling. The icehouses made it possible for ice to be available throughout the year. More affluent people used ice to make various fancy drinks, such as the popular cruchon cocktail, or kruszon (‘cruchon’ is the French word for a ‘small pitcher’). It was an alcoholic drink served on hot days and at dance parties. It was made from light white table wine or sparkling wine and fresh fruit. In summer months, it was served with sour cherries, apricots, peaches, strawberries or wild strawberries. The taste could be intensified by adding some stronger spirit, be it cognac or kirsch. Cruchon was served in a crystal bowl or a pitcher filled with crushed ice and poured out with a small ladle. ‘Cheap dance-party cruchon for the ladies’ was made from white table wine, sugar, water from a soda siphon and a cup of mixed strawberries and oranges. Mazagran is a very refreshing summer drink. Take a glass of black sweetened coffee and put in a piece of ice; you may add some rum or cognac. Panie. W kawiarni. Piją. Mazagran. Wieczorem. W domach. U św. Samki. Przed Matką Boską. Paliły się. Lampki. Ladies. In the café. They are drinking. Mazagran. In the evening. In their homes. At St. Samka’s. Before the Mother of God. The lights. Were burning. This trio occupy the final spot in our mini-guide. The word granit referred in Polish to any drink frozen to a snow-like texture, such as lemonade, orangeade or drinks made from Spanish wines with Maraschino liqueur or kirsch, and fruit juice to add some colour. It was served in small glasses with handles. Seasonal fruit could be added in summer. Sorbet was a thicker ice-cream-based drink. It could be sipped from wine glasses. 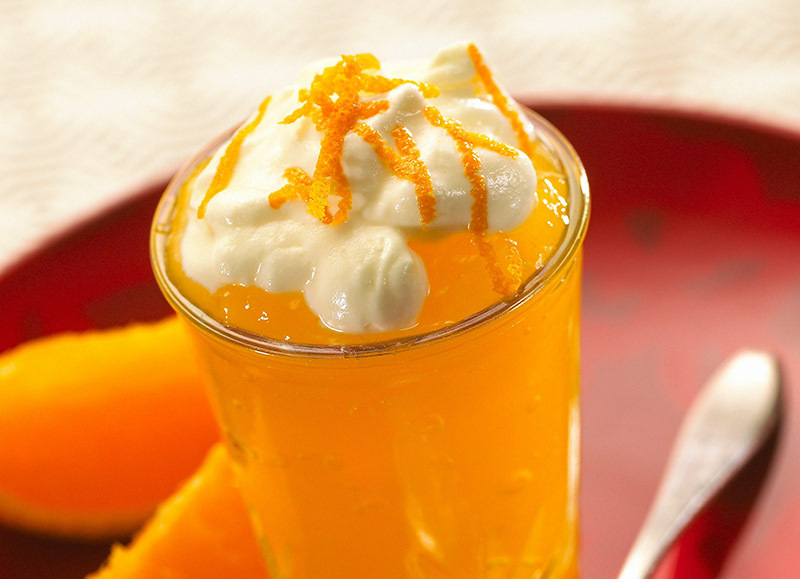 Sorbet was made from fruit juice or purée mixed with white wine, liqueur or sparkling wine. It offered some refreshment at breakfasts or dinners, including those on summer days. Sorbet was sometimes called poncz (which is not necessarily the same as English punch). A pre-war author clarified that ‘poncz and sorbet should be half thinner than ice cream. Sorbet can have an even thinner texture than poncz’. Next to many poncz types made from fruit ice cream and spirits, there were some fairly extraordinary flavours, such as cucumber poncz, made from grated cucumbers blended with French wine, arrack, lemon ice cream and beaten egg white.